Danger always lurks nearby. What will you do? What do you know about self defense? Take Control! Walk with Confidence! Learn self defense karate. 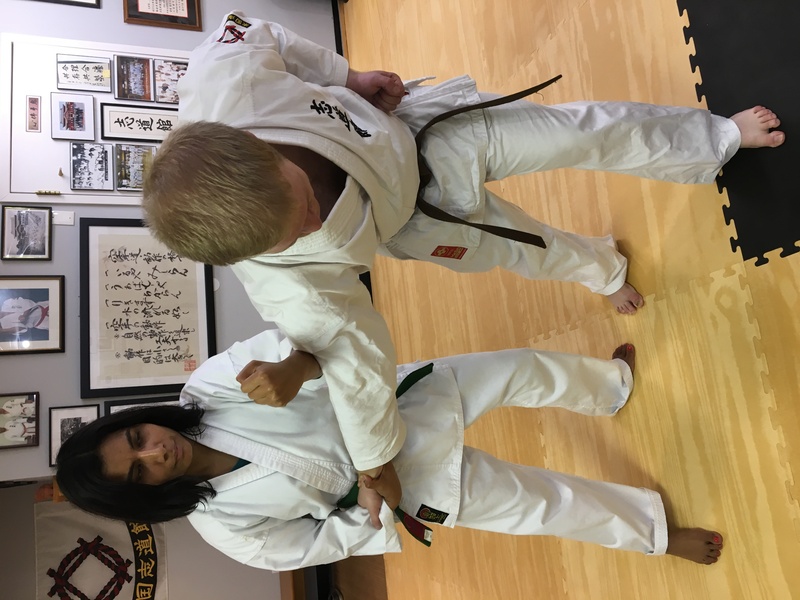 We practice traditional, practical and proven effective Okinawan self defense karate that is based on natural body movements rather than strength and power. This enables the smaller and weaker to easily defend themselves against larger and stronger attackers. We cooperate with each other in class rather than compete so we improve our techniques every day. Our small class size and beautiful new dojo (constructed by our members) evokes a serene sense of classes in an Okinawan Karate School. Our members lose weight, reduce stress, improve self control, dramatically boost self defense skills, get beach body ready, and most importantly have FUN. People enter class with a smile and leave with a smile. Our 8th degree instructor has 35+ years experience teaching US Marines, US Embassy Security Officials, foreign security operatives and people just like you. Since 1979 Our instructor has trained directly with Grand Master Seikichi Iha, one of the most senior Okinawan Karate Grand Masters. He just received the Expertise Honor of Best Karate Instructor in the Washington DC Area for 2017. Our adult/teen classes are 7 pm Sunday, Monday, Tuesday, Wednesday and Thursday, plus 9 am Saturday. While we focus on adult instruction we do have a kids class along with a simultaneous parents/adult class on Tuesday and Thursday at 5:30 pm. Our children's instructor is a 2nd Degree black belt who loves teaching kids and adults the joy of karate movements. Revealing effective self defense using only natural movements and making friends through karate. Enjoy watching students improve their self confidence and control in a non-threatening, cooperative atmsophere. Watching people's contented faces as they learn seemingly difficult, yet natural, self defense body movements. Having fun is the main operator here for me and the members. The best place to start your martial arts journey. 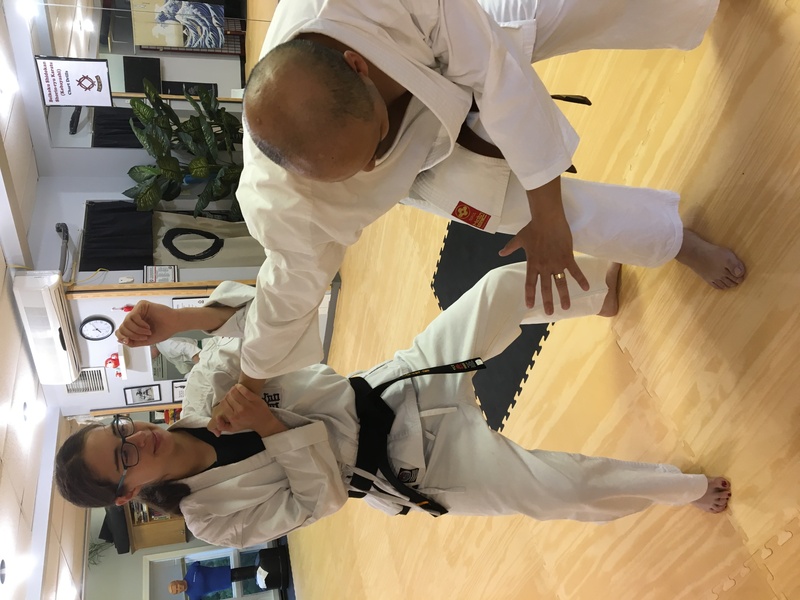 Alexander Torres reviewed Virginia Okinawan Karate Dojo — 5 star February 6 at 10:00pm · In the short time that I have been training at Virginia Okinawan Karate, I've learned so much about kata and how every movement has a practical application. Sensei teaches in a fun, motivating way. 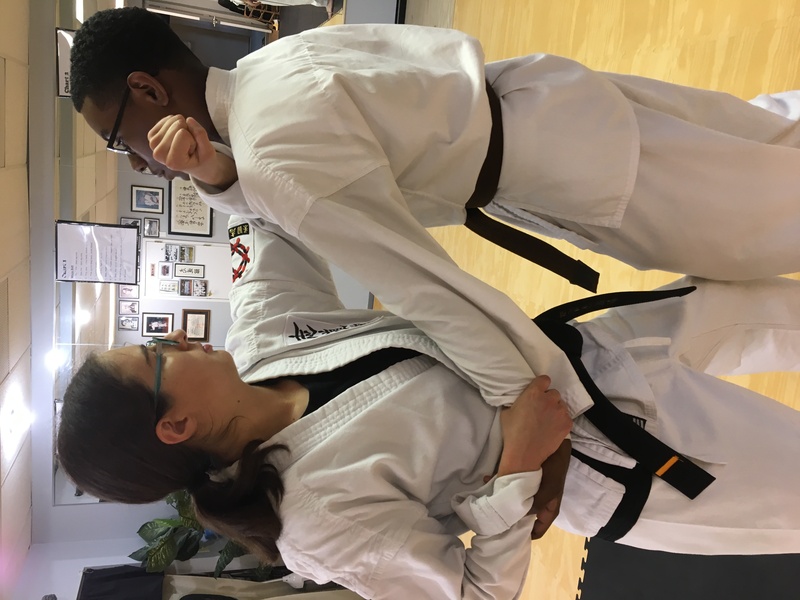 The upper belts are always willing to stay around after class to help you. While my schedule is busy, every minute of training with Sensei and the class is invigorating and motivating. I've trained for more than 10 years in other styles and recently just came back to martial arts. I am so grateful to have found this place. 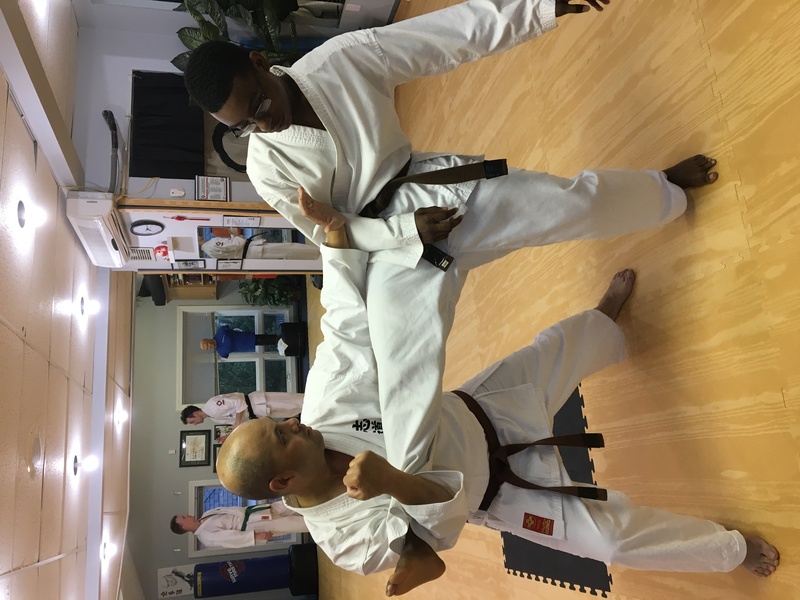 I highly recommend training at Virginia Okinawan Karate. The class structure and curriculum is ideal for adult practitioners. You'll have fun and learn practical self defense skills. We go over a few of the basic techniques and start them in class with other students. 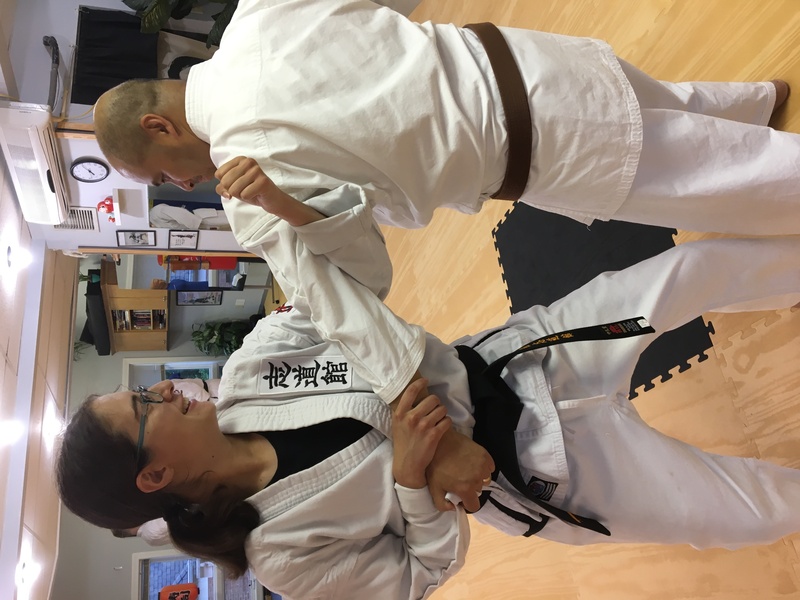 We progress intially through a few basic kata (formatted movements) and then have a senior student work with them while the class continues with kata. The new student rejoins class when we start partner work so they begin to understand the applicaitons of the technqiues they just learned. This ensures that every day and in every class they learn and can apply effective self defense techniques. I started training in judo in 1969 and then trained in kung fu and a couple schools of karate. In 1979 I became a direct student of Grand Master Seikichi Iha and have trained with him ever since in the Shidokan branch of Shorin Ryu. I worked through our system and attained the rank of 8th degree in 2016. I attained the Kyoshi, Master Instructor, title and 7th Degree in 2008. During my overseas diplomatic assignments, I trained US Marines, US Embassy Security Officials, foreign security operatives and people like you in proven effective self defense applications. I am a member of the East Coast Regional Shidokan Black Belt Promotion Board and the National Shidokan Black Belt Promotion Board. I am also a member of the International Ryukyu Karate Research Society. Yes, we have an all-inclusive monthly membership fee that means you pay nothing extra for training equipment, belt promotions, or special classes. We have generous discounts for Active Duty Military, Police and Firemen/women, students, and family members. As a Peace Corps Volunteer assigned to a remote rural area I had no one to practice karate with so I started teaching and discovered I liked it. When I finished my MS degree, and moved to Washignton DC, my Okinawan instructor told me to find students so I could continue to progress. Every few years I would have a new assignment and would start all over again looking for students and training them. I have trained active duty military, Secret Service, FBI, DEA, police, and people just like you. I am very proud of witnessing my students overcome personal challenges to test for their Black Belt in front of the National Black Belt testing committee. First decide what you want from your training. a. Do you want to compete and win trophies? If so search for another school. What we learn for self defense is prohibited in tournaments. b. If you want to learn the art of self-defense karate we will show how to quickly use what you learn. c. Join us if you are interested in losing weight, boosting self control, improving self confidence, increasing flexibility or just want to learn the art of karate in a friendly, traditional Okinawan school. It is important you view the class you will take, hopefully try a few trial classes, to see how you feel about the classes, the members, and the instructor. Avoid signing a long-term contract that locks you into multi-year payments. While it is cheaper with a contract, after a month or so you may decide you are no longer interested. What do you want to get out of karate? What is the payment schedule? Contract or no contract? What is the promotion fee? What is the uniform fee? What is the special black belt class fee? What is the total monthly cost I will be looking at?